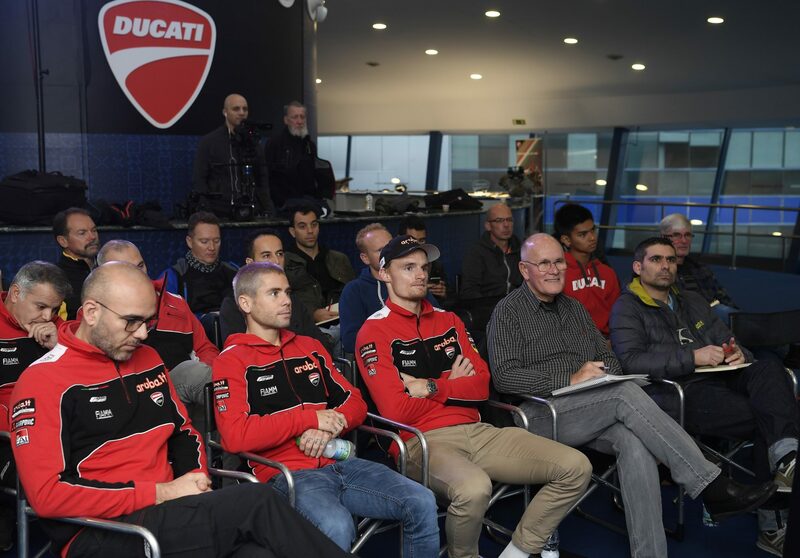 In the end of 2017 Ducati shocked the public with the arrival of a new superbike, which represented a total departure from the original Ducati superbike 90 degree L-Twin DNA they have always been known for: The Panigale V4, a true “MotoGP derived bike” for the road developed in direct collaboration with Ducati Corse. 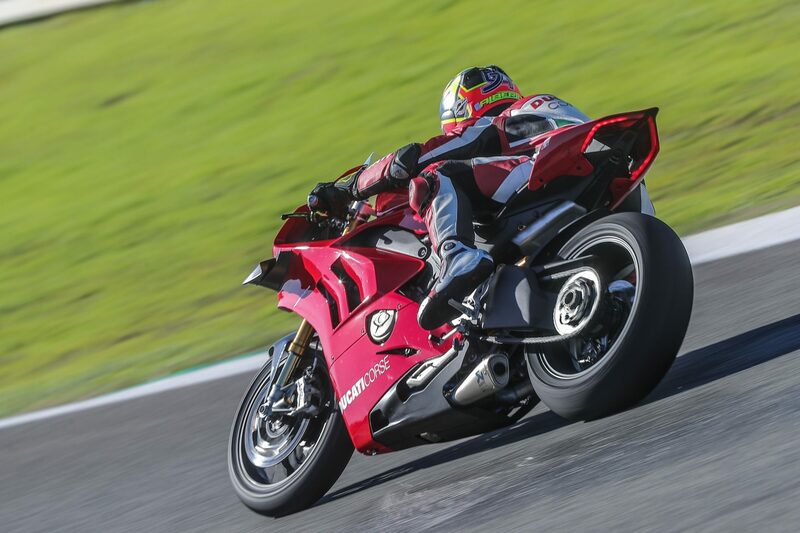 But being an 1100cc, the Panigale V4 was not eligible to compete in World Superbikes, which left the public and the riders waiting for the real WorldSBK contender, until last November when finally Ducati has revealed the new Ducati Panigale V4R at EICMA, which will be the road legal version of the bike that will compete in the upcoming WorldSBK season. 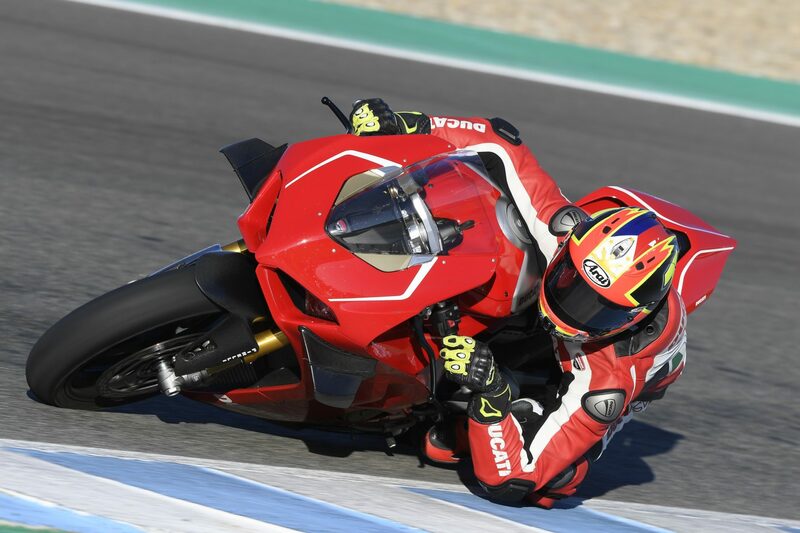 This new bike is definitely worth the wait as it merges the essence of the Ducati Panigale V4S and with a year more of development all the specific changes requested by Ducati Corse to make this machine a race winner straight out of the box. The 1103 cm3 90* V4 engine has been replaced with the 998 cm3 Desmosedici Stradale R which brings it within the displacement limits established by WorldSBK championship rules. The bike features a new fairing incorporating winged elements of a MotoGP origin, (the design coming directly from the GP16). Updated race level Öhlins suspension with significant updates fitting for the race oriented R version, a new for the R adjustable swingarm axle and finally even the front frame has been modified to achieve the specific stiffness requirements set by Ducati Corse. Not to be forgotten however is the updated electronics, adding on to the already impressive electronics package of the V4-S bringing WorldSBK/MotoGP level electronic performance to the table. 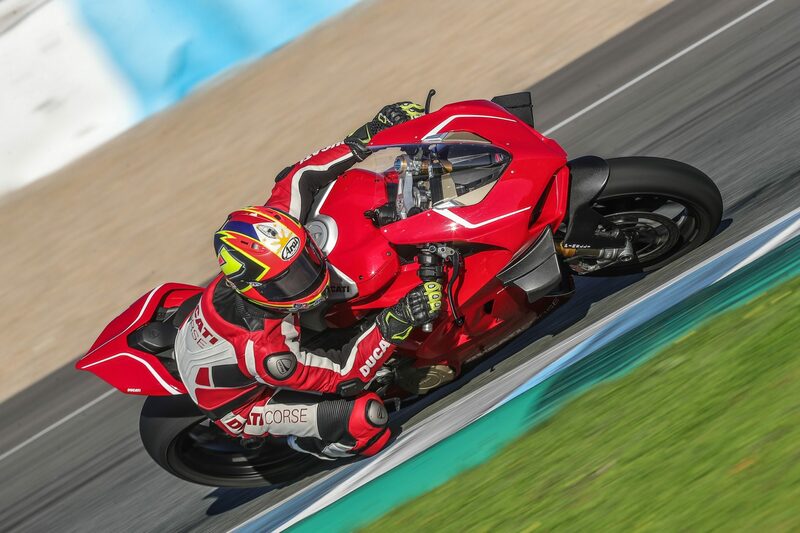 I am honored to be given the opportunity by Ducati to be one of the first to test this new bike at Jerez de la Frontera, Spain in the Circuito de Jerez a legendary circuit where many classic MotoGP last lap battles have been held, a fitting location to test this new machine. 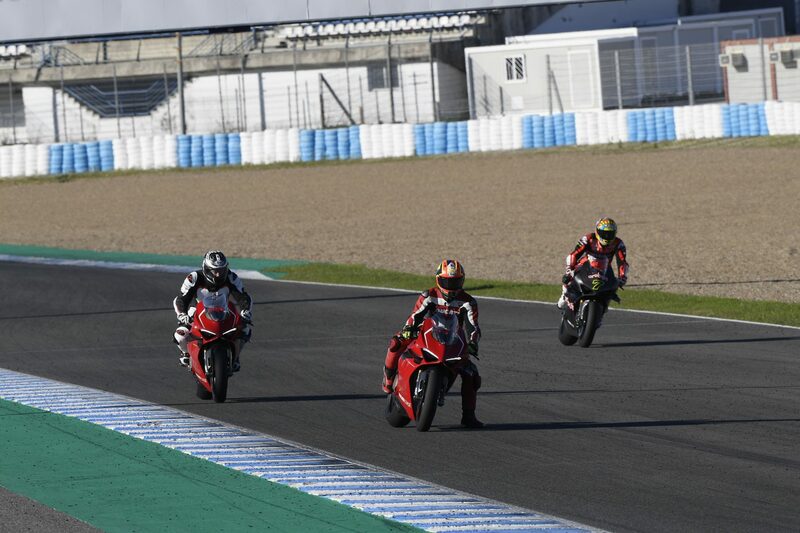 It was a day to be remembered as during the same day we shared the track with the Ducati WorldSBK riders and BSB (British Superbikes) riders who were doing preliminary testing as well of their new race horses for the 2019 season. It was a great experience to be on track (and dived down the inside!) by Chaz Davies, Alvaro Bautista, Scott Redding, and Josh Brookes on their World Superbike specification V4R’s. 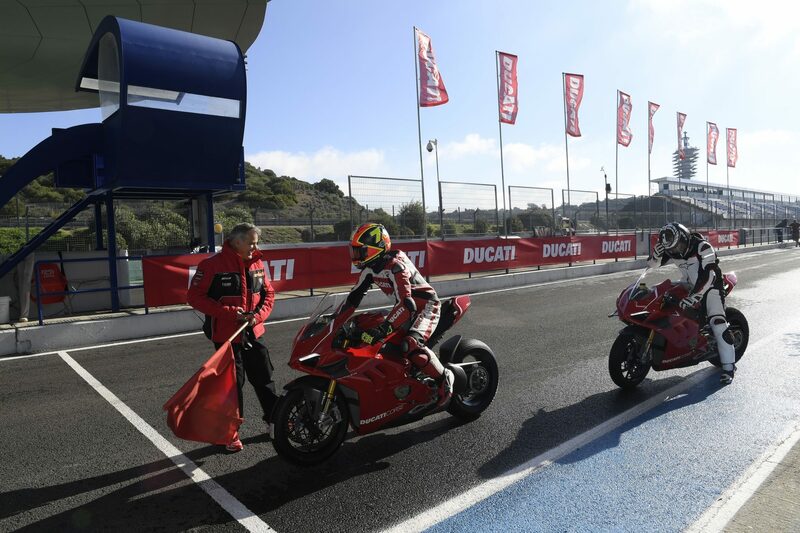 We were given 4 sessions to test this machine, luckily we were also guided by the Aruba.It Ducati World Superbike team as they were there to assist us riders and also by Ducati Test rider Alessandro Valia to show us the line on the first laps. The 15 minute sessions felt shorter than they were. Each lap I found more and more confidence to push on this “street bike” and really in the end I was putting down some quite respectable laps with respect to a machine with lights and a functioning horn! 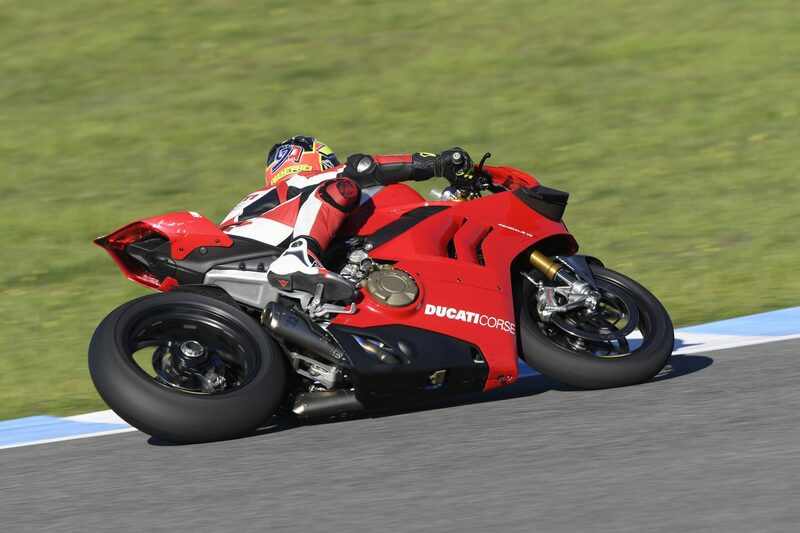 This bike is really a step above the the previous Panigale R, the wings would keep you planted around the long and fast 4th gear corners of the Jerez circuit as well as the new chassis giving more feel to the rider under hard braking definitely a step over the previous Ducati Superbike contender. The new “SBK EVO DRY” clutch by STM bringing more confidence in during race level track riding, no longer do you have the rear tire skipping along the track during the latest braking maneuvers with the slipper clutch which can also be adjusted for more or less engine brake and is actually the same clutch that Chaz and Alvaro will be running for the 2019 season. The new Öhlins NPX fork is a first in the OEM market bringing pressurized forks to the street bike game. This fork was really a step from the current generation of Superbike forks from Öhlins and gave a similar feel to the race level pressurized fork we use in the World Superstock. Last but definitely not the least was the new proportional strategy electronics a step above the last twin cylinder Panigale R producing WorldSBK level electronics very similar to the Magnetti Marelli Superbike level electronics I used with the last Panigale R in this years Superstock championship, I had the confidence to keep the throttle wide open even over the damp patches in the morning sessions and the bike would adapt giving less spin and less danger each lap, it’s like I had the electronics guys from Ducati on the rear seat adjusting it for me as I go! It’s really incredible work from Ducati. 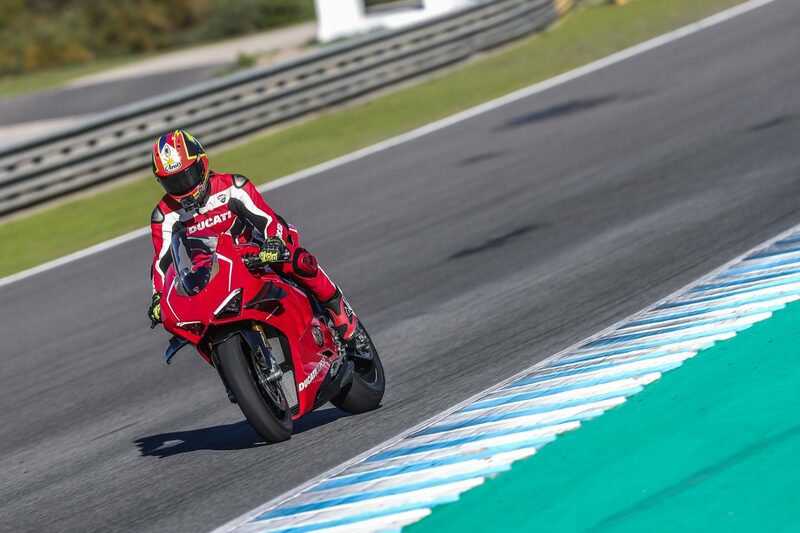 Alvaro Bautista said it himself after his first day of testing with his first time making the switch to Superbikes that he is extremely happy with this bike, bringing a lot of similarities from his MotoGP Ducati and it will be a championship contender for sure. 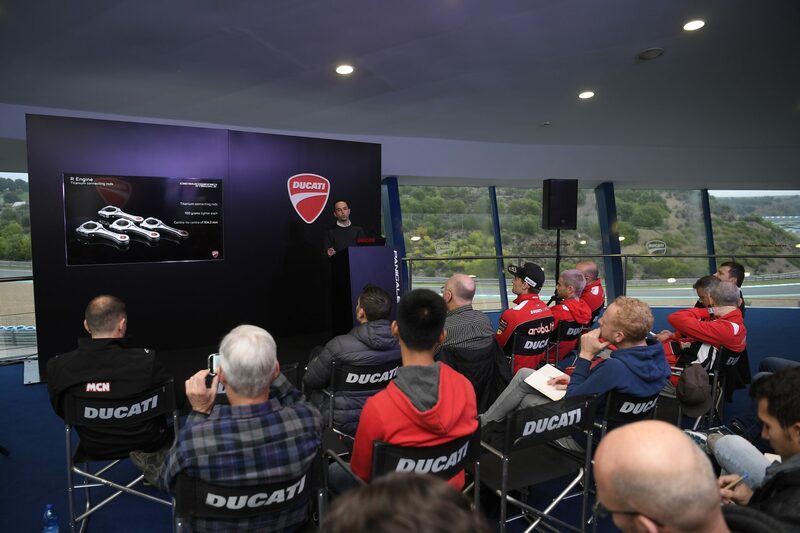 This is good news for Ducatisti and Ducati racers all over the world, this new bike is really well worth the wait, it’s definitely going to be a winner and I can’t wait to get my hands on one to try out at my home track!